A Guyanese man was Tuesday arraigned for the murder of a Cuban ship engineer almost one month after his body was found on the Providence, East Bank Demerara with a wound to the neck. 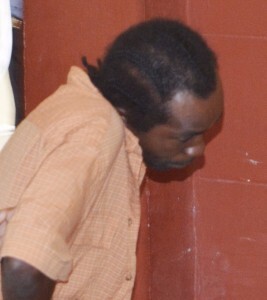 Charged with the indictable offence is Lawrence Rowe of 69 Parker Street, Providence, East Bank Demerara. He was not required to plea to the indictable charge that was read to him by Chief Magistrate, Ann Mc Lennan. Rowe was remanded to prison until April 25, 2016 when he would reappear in court for a status report. Police accused Rowe of murdering 47-year old Joel Perez Laffita on March 8, 2016 during the course of a robbery. Details of the allegation stated that on March 8, at Providence, East Bank Demerara, he murdered Perez during the course of a robbery. Investigators believed that Perez Laffita was killed hours after he had disembarked an oil tanker that had docked at Rubis’ wharf, Providence.